Telemark skiing isn’t the most glamorous. It’s not big air in front of thousands of fans. It’s about freedom. It’s rugged. It’s for the backcountry purist. It’s exactly why Idaho loves 22 Designs. Chris Valiante and Collins Pringle launched 22 Designs in 2004 after interning for telemark legend, Russell Rainey, who invented the hammerhead binding. Engineers by trade, over the last 13 years Chris and Collins have redesigned and reimagined their bindings. 22 Designs now sells four models of bindings – all 100 percent made in the U.S.A. – sold at over 150 retailers in North America and distributed in Europe and Japan. The Lynx is a completely new design featuring composite flex plates, adjustable preload and binding activity, and a lightweight yet durable design. Built with machined aluminum parts, an easy-to-switch ski/walk mode and lightweight springs with plenty of travel, it’s the new standard in light touring for telemark bindings. The Outlaw X, is a “new telemark norm” (NTN) binding which allows for better step-in capabilities and an easier release than older style bindings. The Axl sports a bombproof 6-hole mounting pattern, long-lasting chrome die springs and a front assembly built of tough stainless steel. It gives you adjustable, exceptional power, but tours effortlessly. The Vice binding provides three pivot positions to dial in to your skiing style and the snow you’re on. Originally based in Jackson, Wyoming, and named for the highway connecting the two states, it didn’t take Chris and Collins long to discover the advantages that moving across the border to Idaho could afford them. Once they got to know the community, they realized Idaho was a great fit for their business. After spending a few years working out of a garage in Driggs, Idaho, they now operate out of a larger industrial space better suited to their growth and company vision. They like the small town feel and especially the immediate access to the mountains and rivers that fuel their passion and their products. 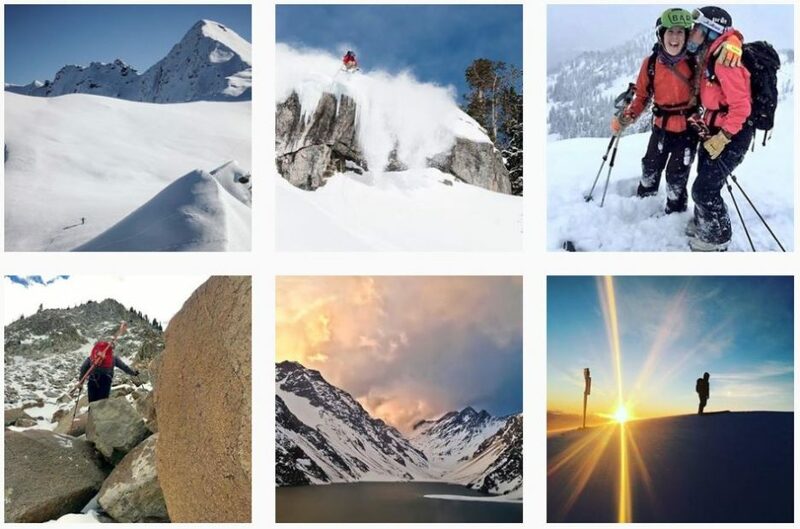 Whether you’re an avid skier looking for a change of pace or simply interested in a new way get outside and explore some pow, 22 Designs products are what you need for your telemark adventure. They go beyond “backcountry approved” – they’ve been Tested in Idaho.